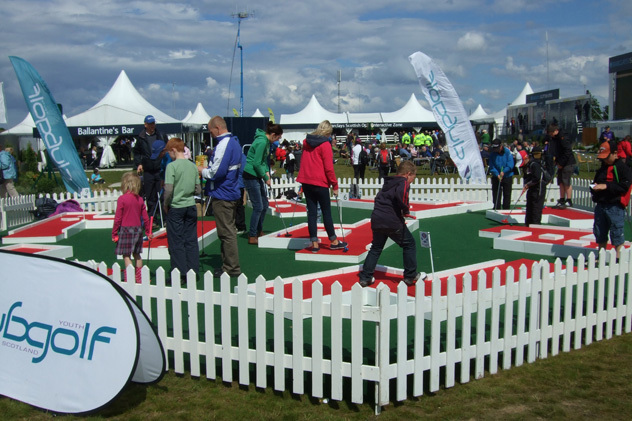 The UrbanCrazy crew have just returned from Inverness where we were sponsored by Barclays and Club Golf to provide our all-weather, 9-hole ‘Contemporary Minigolf Course’ plus staffing for the duration of the Barclays Scottish Open Golf Tournament. 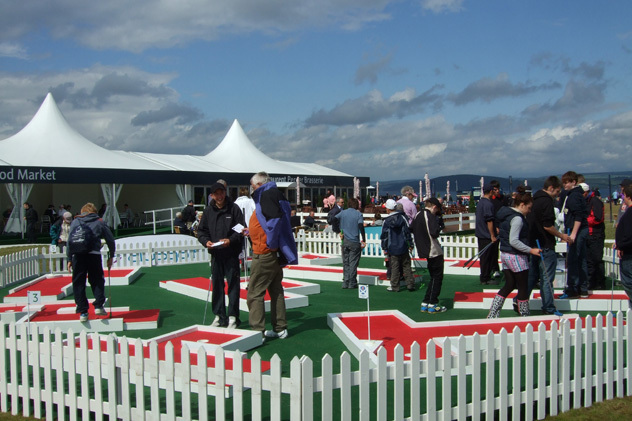 In 2011 Castle Stuart Golf Links became the new venue for this prestigious event, a good choice given the true “links” test it offers ahead of the Open Championship. 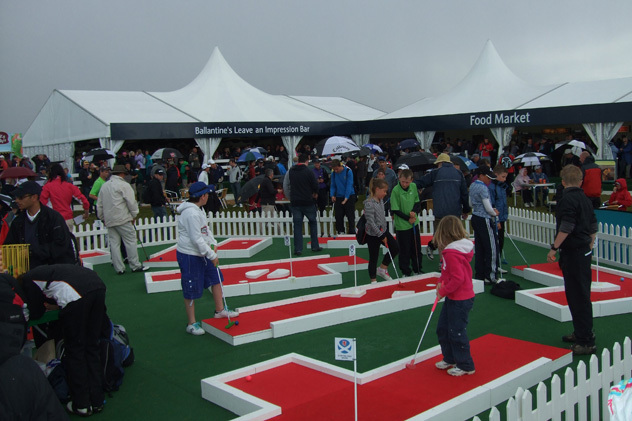 Thousands of spectators braved the weather, arriving each day armed with wellies and brollies to enjoy the high-calibre golf and the delights of the tented village, which for 5 days was home to several bars, food stalls, golf clothing shops, a giant screen and the cherry on the cake – our red, portable mini golf course. 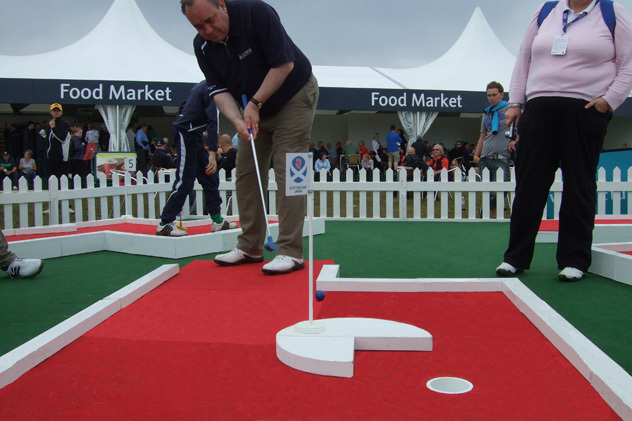 In recognition of the efforts of the golfing greats competing in the Scottish Open, we challenged all-comers to go round under-par on our course, with those posting the lowest scores each day receiving some cool prizes courtesy of ClubGolf and Barclays. 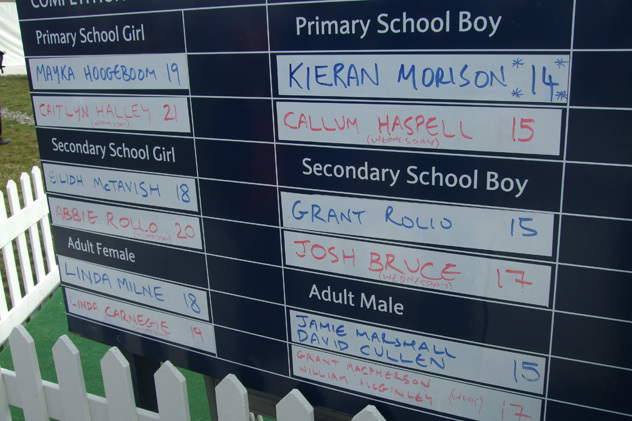 An estimated 3,000 rounds were played and we’re pleased to announce the best score overall was achieved by 17 year old Sean Thompson of Elgin. His extraordinary 13 (which included 5 aces and 4 twos) put him at the top of the leaderboard on his own. 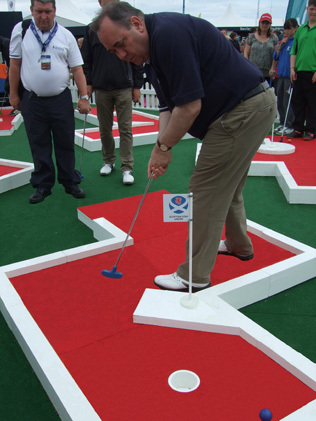 And on the final afternoon we had a surprise guest on our course – Scotland’s First Minister, Alex Salmond! 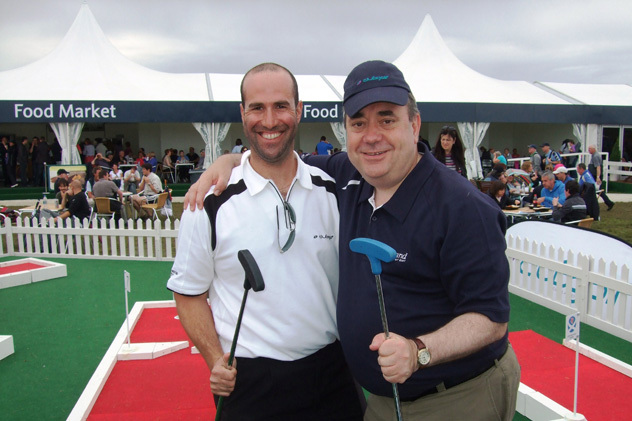 Evidently competent at putting, Mr Salmond went round the course in a credible two-over, before thanking our stewards and posing for photos with them. He then made his way to Castle Stuart’s 18th green where he greeted the new Scottish Open champion, the ever-consistent Luke Donald. Check out our photo gallery by clicking on the large photo, top right. 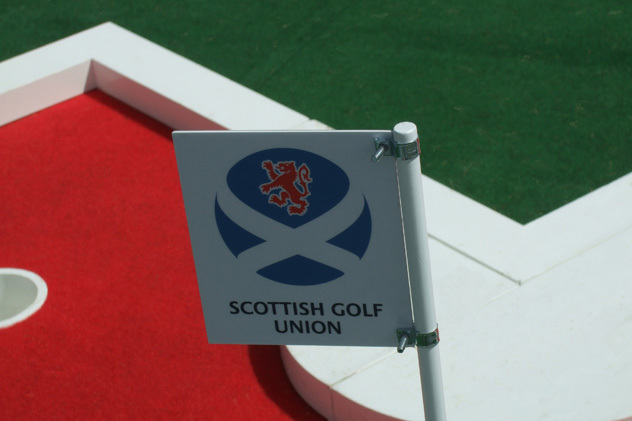 Willie MacKay, ClubGolf’s Highlands & Islands Regional Manager offered these words after the event: ”Guys, your work ethic is tremendous. 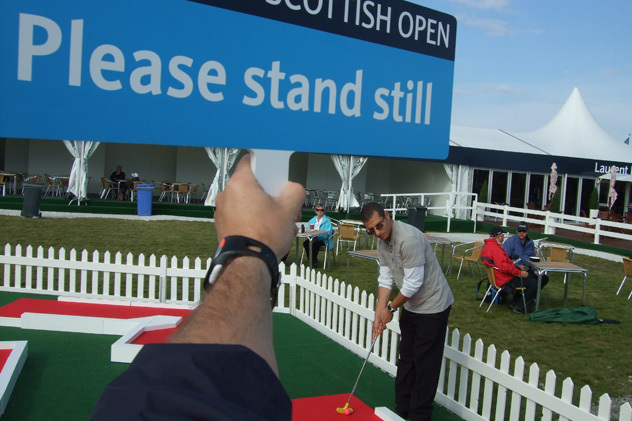 Your polite and considerate manner was another quality very obvious to all the adults and children that played on your course. I hope we have the opportunity to work together again.” A generous endorsement indeed from a most charming and courteous gentleman. UrbanCrazy’s Contemporary Course is available to rent or purchase. For more information and prices please call 08456 860 360 or contact us here.